day-going movement with hour strike and alarm, wood and brass case. 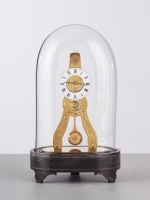 The 6-cm enamel dial has Arabic numerals, a brass alarm disc and blued steel hands. The dial has a chased brass surround with lyre spandrels and a classical lady with an urn in the arch. The weight driven movement has a duration of 30 hours. It has wooden plates what is called ‘Holzgespindelt’. 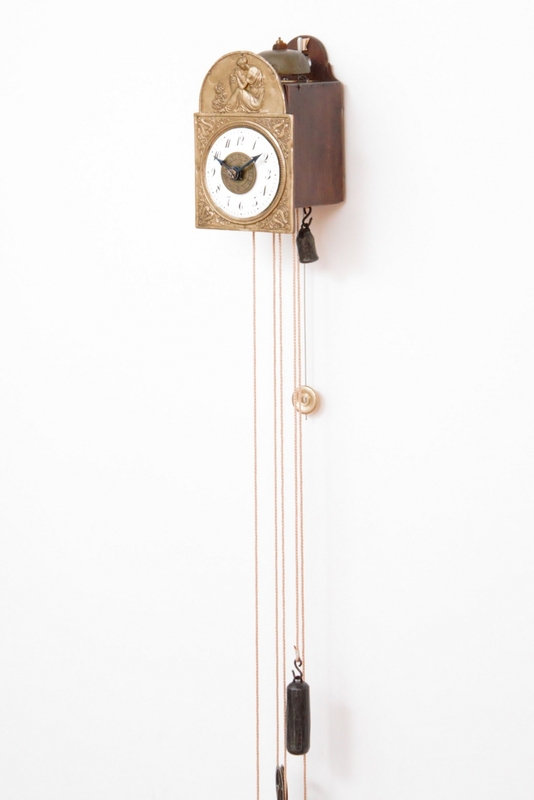 It is regulated by anchor escapement in combination with a pendulum. 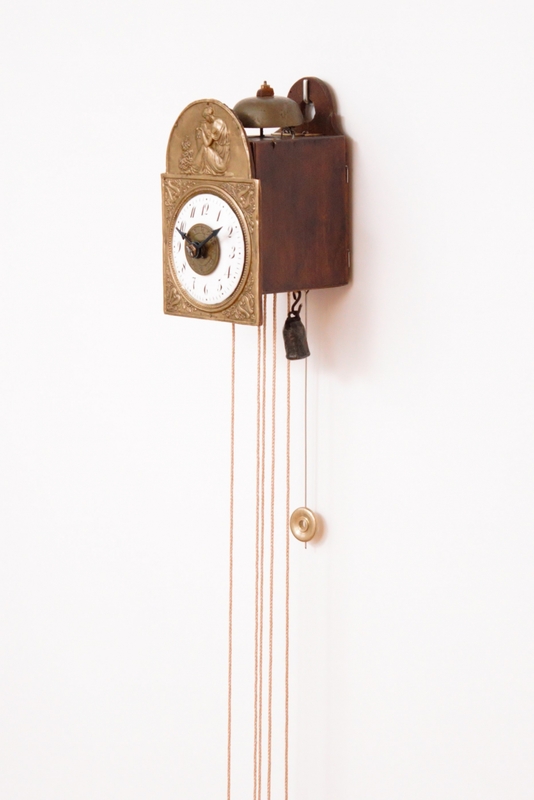 The clock strikes the hours fully on a surmounted bell. The alarm also strikes on the bell. The wooden case has doors to the sides and a suspension hole in the backplate. Het kastje is gemaakt van hout en heeft deurtjes aan de zijkanten. 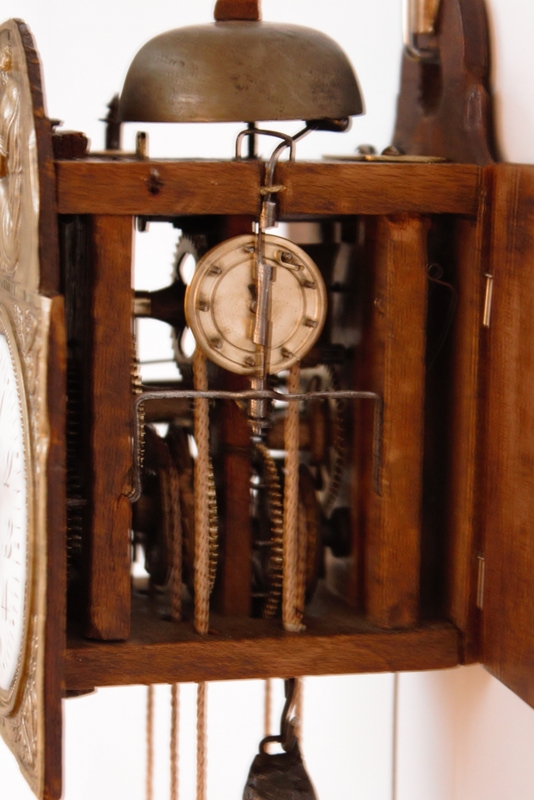 In the second quarter of the 19th Century Joseph Sorg specialised in making this type of miniature clocks. Although other makers also produced them his name stuck to the type.